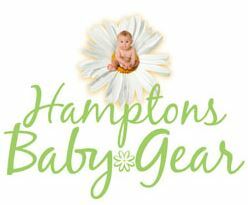 Founded in 2009, Hamptons Baby Gear is a full service baby equipment rental company. We rent cribs, strollers, high chairs, car seats, beach & play gear, and safety equipment and are happy to deliver, set-up, demonstrate, and pick-up anywhere in both Nassau and Suffolk Counties. Mom-owned and operated, Hamptons Baby Gear understands the challenges of traveling with small children and helps parents enjoy their stay on Long Island – All without the worry or hassle of traveling (and remembering) all of the gear that’s needed for your children’s well-being. We provide only top-rated products for your convenience and peace of mind. We want your family to feel right at home by providing the same first-rate products that you use in your own home. All rental items are thoroughly cleaned, sanitized and checked for safety after each use. Reserve the baby gear you need for your next trip to Long Island – Don’t stress, carry less!